On 18th September, David Lee Estates celebrated 10 years in business. In September 2004, David Lee’s Stansted Mountfitchet office opened, initially dealing only in sales but quickly progressing into the private rental market which soon became an integral part of the business. In January 2010, David Lee’s second office in Bishop’s Stortford opened to immediate success. 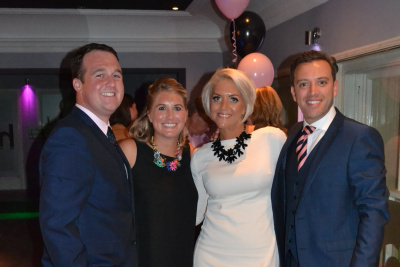 The 10th anniversary was celebrated at Host in Bishop’s Stortford where around 80 clients, suppliers, staff, family and friends enjoyed food, drinks and entertainment on one of the last warm evenings of the year. A raffle and a raucous game of ‘true or false’ were held in aid of Grove Cottage, after David McConnell, the local charity’s Chief Executive, gave a moving speech about its work, and the evening eventually raised over £560 for this very worthy cause.